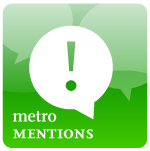 Metro Mentions is a new feature on The Source where we highlight advertisements we’ve stumbled upon that feature Metro access information. Why? In this car-culture town, when local businesses and community organizations voluntarily go out of their way to include transit information in their ads it raises awareness and informs people of alternatives. 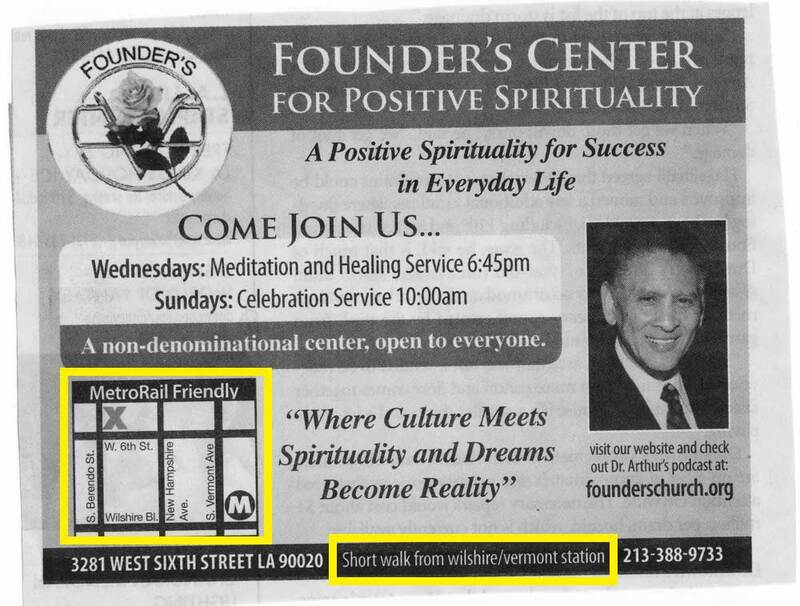 Founder's Church adverstinment spotted in the Downtown News. Browsing through this week’s L.A. 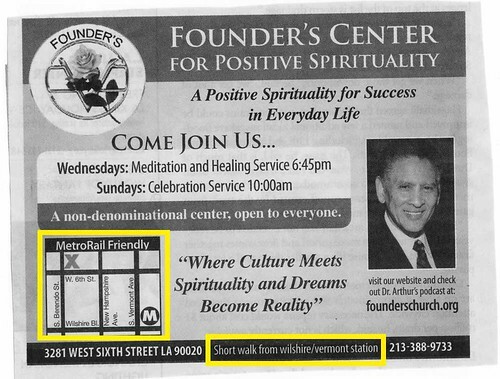 Downtown News I discovered this ad for the Founder’s Center for Positive Spirituality that prominently features a map with a big “M” in a circle and the words “MetroRail Friendly.” Nestled between the street address and the phone number you’ll find an equally important piece of information: the church is just a “short walk from Wilshire/Vermont station”. Kudos to Founder’s Church for acknowledging their proximity to Metro Rail. Now if only they would add that info to their website!